Lisa Franchina was born in Queens, New York and grew up on Long Island. Lisa received her Bachelor of Arts degree in humanities from Hofstra University in 1987. She attended law school at the Shepard Broad Law Center at Nova Southeastern University in Fort Lauderdale and received her Juris Doctorate degree in 1990. After graduating from law school Lisa relocated to Orlando and was employed as an attorney with the Public Defender’s Office for 3 years, handling all types of criminal cases, as well as appeals. Lisa left the Public Defender’s Office in 1993 and established her own firm, the Law Offices of Lisa A. Franchina. Lisa has operated her own firm for the past 26 years and handles exclusively criminal and family law matters. Lisa is also a Florida Supreme Court certified family law mediator. Lisa is a member of the Central Florida Association of Women Lawyers, the Central Florida Family Law Inn of Court, and the Orange County Bar Association and its Family Law, Criminal Law, and Judicial Relations committees. She is also a member of the Family Law, Criminal Law, Animal Law, and Solo and Small Firm sections of the Florida Bar. In 2016, Lisa received a Spotlight Award for her service on the membership committee of the Family Law Section of the Florida Bar. Lisa is active in her community, has been a member of numerous civic organizations and has served on several boards. She has been a member of several area chambers of commerce, including the Metropolitan Business Association, the Winter Park Chamber of Commerce, the Hispanic Chamber of Commerce of Metro Orlando, the Oviedo-Winter Springs Chamber of Commerce, and the East Orlando Chamber of Commerce. 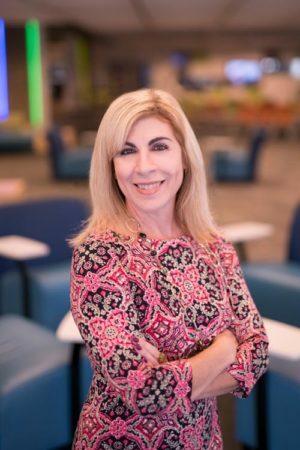 Lisa served on the executive committee and board of directors of the East Orlando Chamber of Commerce for 5 years, and served as both the Education Committee Chair and Government Affairs Committee Chair. She is also currently a member of the Downtown Orlando Partnership, the Orange County League of Women Voters, and Tiger Bay Club of Central Florida. Lisa has served as President of the Central Florida Chapter of the National Association of Women Business Owners, as Secretary on the board of the Avalon Park Rotary Club, as a Director and Executive Committee Member on the board of the Back to Nature Wildlife Refuge, as Secretary on the board of directors for the Orange County League of Women Voters, as a board member for the Orlando Marine Institute, and as President of her homeowner’s association for the past 12 years. Lisa is currently President of the Board of Trustees for the Orange County Library System, and Chair of the Orange County Animal Services Advisory Board. Lisa was named as 2016 Orange County District Four Citizen of the Year for her service to the Central Florida community.